Mountain Temp Services, LLC, including MTS Mobile Staffing, is a privately owned employment agency with nine offices serving Colorado's mountain resort communities and Colorado's Front Range. Mountain Temp Services and MTS Mobile Staffing have been providing temporary, temp-to-hire, direct hire, employment, and payroll services since 1994. With offices in Aspen, Carbondale, Dillon, Eagle-Vail, Rifle, and Steamboat Springs, Colorado's mountain resort communities are well served by Mountain Temp Services. MTS Mobile Staffing is our Front Range division with offices in Denver and Longmont serving Denver, Boulder, Longmont, Loveland, and Fort Collins. We are committed to creating lasting partnerships with our employees and clients through our model of customer service, efficiency, integrity and quality personnel and placements. Mountain Temp Services and MTS Mobile Staffing's professional and energetic staff has more than 25 years’ experience in the temporary and permanent staffing industry; tailoring our services to meet both our clientele and employee needs. 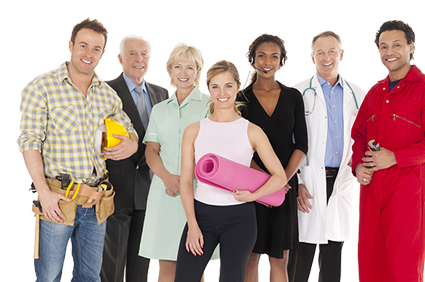 We are a full service staffing and employment agency specializing in construction, landscaping, warehousing, hospitality, and administrative & professional service placement. We interview, test, and screen all employees to ensure the highest level of competency to our clientele. Our highly skilled, motivated, and dependable personnel pool is continually growing. We pride ourselves in exceeding the expectations of our employees and clients through exceptional customer service. Integrity, reliability, and professionalism are the foundations of Mountain Temp Services.